Please add your suggestions in the comments or email me at info.adventuresinankara@gmail.com. Dr Kadir Suat Arseven, Capital Medical Services, Nenehatun Caddesi No.81/4, Gaziosmanpasa. (312) 447 3760 or 446 1607. Prof. Dr. Fatoş Yalcinkaya, Pediatric Nephrologist, Tunali Hilmi Cad. Yrd. Doç. Dr. Orçun Şahin, Başkent University Hospital, M. Fevzi Cakmak Cad., 10.Sokak, No 45, Bahcelievler. 0312.212.6868/1352. Fully fluent in English. Dr Guven Ozen. Kehribar Sok. 18/1,near the Mesa complex on Koza Sok. GOP. needneatteeth@gmail.com. “He has spent some time in the US studying and doing dentistry. Speaks excellent English and has the latest equipment. Based upon my 3year old grandson he is excellent with kids. He also has an orthodontist who works with him when required.” E.B. Tel: 0312 236 65 65 / 0312 236 65 69, E-mail: info-tr@sascentre.com, The speak Turkish, English, Dutch, Polish, and a little French and German. They work primarily with children helping them to overcome difficulties such as Sensory issues, learning difficulties, adhd, dyslexia and behavioural issues. Address: Mutlukent Mahallesi 2010 Sokak, No: 62, Beysukent. The web address for now is www.sascentre.com (will change in the next months). Email: info-tr@sascentre.com. Prof. Dr. Cumhur Sener – Cinnah Caddesi, No. 96/4. He speaks English fluently. His telephone number is: 440.55 66. Dr Gamze Caglar. Fluent English and good German. “She is very thorough and makes sure all is covered and you understand all.” A.G. Cinnah Cad., Alacam Sokak 1/3, 0312 427 0076, 0532-441-8501. Prof. Deniz Kumbasar – Has a private practice but he also works at Ibni Sina. Mrs Sule Korkmaz from Guven Hastanesi. Mr.Ugur Hindioglu – Koroglu Cad. Luis at Olum, olummassage.wordpress.com/. Thai and oil massages. Speaks English and Spanish. Dr. Abdurrahim Gorur. Acupunture. Cinnah caddesi, 0312 438 2627. “I have had excellent results for my neck pain and headaches, my back pain and apparently the related knee problems. Once he treated my lower back, the knee problems . . . you should maybe try to go to your first appointment with a Turkish speaker. And beware, he is usually booked quite a bit so you might get your first appointment around a month or so later. . . he works on are allergies, herniated discs, some neurological conditions, and rheumatisms. He also does not accept patients whom he thinks he cannot cure after the medical control he performs on the first appointment. ” H.U. Readings, spiritual consultancy, Reiki healing and much more. Professionally trained in Reiki by Diane Stein, a highly acclaimed American Reiki Master located in Tampa, Florida. Studied in Tarot, Coffee and Rune readings, Moon rituals, Divine Feminine, protection against Psychic attacks, energy vampires, how to handle negative energy, ground and centering, and much more… Across Swiss Otel on Kisinev Caddesi, 727 sokak, Apt no 22/ 8. Email: nilgunariksoybaillie@gmail.com or phone: 0532-565-9811. (Formerly Jue Weijung’s practice) – Fiskiye Sok 17 / 6 GOP, Ankara. Tel: 0312 447 98 88. “A chiropractor from Georgia (the country) has taken over the practice of Jue Weijun (Chinese). I started going to him 2.5 years ago and have been very satisfied. I’d had a motorcycle accident in the States so I could barely walk when I came. Now I’m not even limping. Jue Weijun’s sister also does foot reflexology. She speaks English and they are very nice to work with. The treatment is quite different than American chiropractors but very effective.” D.G. Baskent Hospital – “I am writing to share an experience I had today with three hospitals in Ankara. . . My 2 1/2 year old son accidentally ate a couple of aspirins. As soon as we realized this, my husband and I immediately took him to the Emergency Room of Guven Hastanesi. When we arrived there, one of the nurses took my son’s temperature. After this, the doctor on call arrived. Unfortunately he didn’t speak any English. In addition to this, the translator does not work on Sundays. We tried to explain to him the emergency we had with gestures and he “told” us (with gestures too) that he didn’t know what to do! After this, he wrote on a piece of paper the name of another hospital where we had to go (Baskent Universite Hastanesi). In summary, at Guven Hastanesi they just took my son’s temperature and we stayed there more than one hour. We decided to go to TOBB hoping that the language would not be a problem. When we arrived there, they told us they don’t handle pediatric emergencies. Then, we arrived at Baskent Universite Hastanesi and we had a great experience. The doctor in charge spoke fluent English. The first thing he did was gave a stomach flush to my son. Then he took all kind of exams to evaluate his condition. I totally recommend it! Please, if you have any kind of emergency, go directly to Baskent Hospital. It is very serious and professional. Thank God, my son’s accident was not very serious. If it had been, the time we wasted at Guven and TOBB could have changed the end of this story.” Gabriela. Dragon Sigorta – Güvenlik Cad No:47/C, A.Ayranci, Cankaya. Tel: 428 5882. English contact: Ms Aysun Akgun, Cell: 0535 605 0609 or Tel: 428 5882. 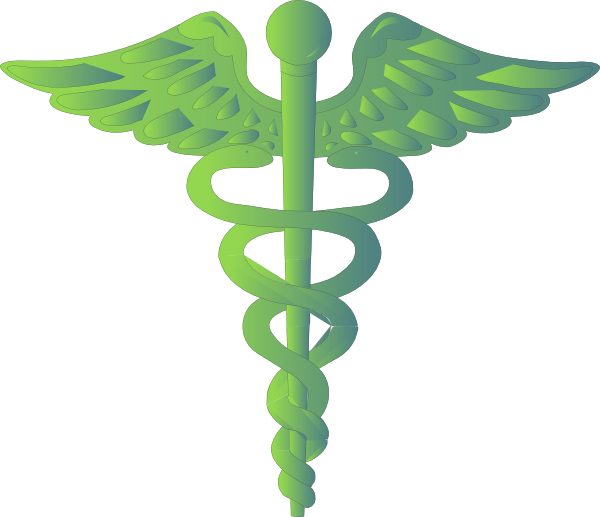 Turkish Health Insurance – REALLY???!!! I am an Obstetrician and Gynecologist working in Ankara. I can speak English fluently and German. I have a private practice in Söğütözü. I support natural birth and we have regular pregnancy pilates classes in our clinic instructed by an English speaking internationally certified trainer.I am board certified in Turkey and I have the ECFMG certificate from USA.I have completed a subspecialisation training in Perinatology. I have followed up and delivered several foreign patients in Ankara. I am interested in reaching more expats through your web site. I am a U.S.A. Certified Registered Nurse and Lactation Consultant. I would love to help new moms who are having breast feeding problems. Thank you. I work as a gynecologist in Ankara. You can get information on the topic you want by reaching me from my site very liked the article. I try to help you as long as I can. Thanks for the info and have a great day too! Do you know anyone who is good at couples therapy, in English? We took my father to baskent universite hospital on Sunday morning with servere gut pains. Waited for the person operating the machine for 35 minutes he was outside hanging out with his mates. Then he told us the x-ray machine wasn’t working. He was switching the mains on and off from the circuit board hopeing to reboot. What a joke the medical system is in this country.